24 year old Jesse Kinch: singer, songwriter, guitarist, lyricist. Jesse has been playing the N.Y.C./Long Island club scene since the age of 8. He is a part of a new generation of young talent who want to bring rock n’ roll back to its glory days! Influenced heavily by the great rock bands and artists of the 60’s, 70’s and the Seattle scene of the 90’s, Jesse delivers high energy performances and writes songs that capture the times with his own unique original style. Jesse’s music and lyrics are based on themes that all generations can relate to. His classic rock influences blend with his unique style. His music is real. His performances are real. Jesse is a rare combination of natural ability combined with a passion, spirit and energy that is evident in his original music and his live performances. It all began when Jesse picked up a guitar at age 6 and was able to tune it by ear. He demonstrated exceptional rhythm and perfect pitch. Jesse’s passion turned towards rock n’roll. He performed at a N.Y. rock club at age 7 with an all adult band backing him. At age 8, Jesse was featured on TV News Channel 12, Long Island. At 10, Jesse was invited to the Sam Ash Guitar Competition where he finished third competing with performers 2 to 3 times his age. Jesse captured the rock and roll soul of America and was voted the winner on Rising Star ABC 2014. He has gained fans from all over the world who are captivated by his raw, genuine and undeniable talent. Jesse and his band have been opening act for the legendary band Living Colour, Ryan Star (Island Records) and Lukas Rossi (Rockstar Supernova). He has performed and participated in events to support Cystic Fibrosis, American Cancer Society, Long Island Cares and was headliner for the “Rock for Haiti” benefit concert. Jesse has made appearances on Good Day NY and Channel 55 News. His original songs have had radio airplay on Q104.3 NY, WBAB 102.3 Long Island, and WMJC NY. Jesse’s original songs are being written at a fast pace and are gaining attention from fans all over the world. Jesse’s original material deals with provocative subject matter and contemporary themes. His lyrics are stimulating and profound. Many of Jesse’s exciting live performance videos can be seen on You Tube. These include original material and breathtaking covers of many of rock’s greatest bands and classic hits. 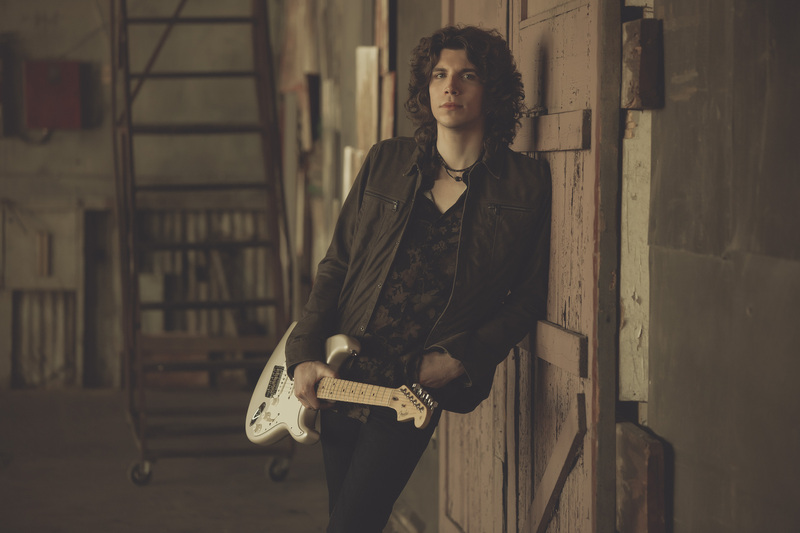 Without question…Jesse Kinch will impact the future of rock n’ roll!